Pull chicken off of the bone, and set aside. Toast buns, and place chicken onto a large skillet with the BBQ sauce on medium heat. Stir frequently until warmed through. 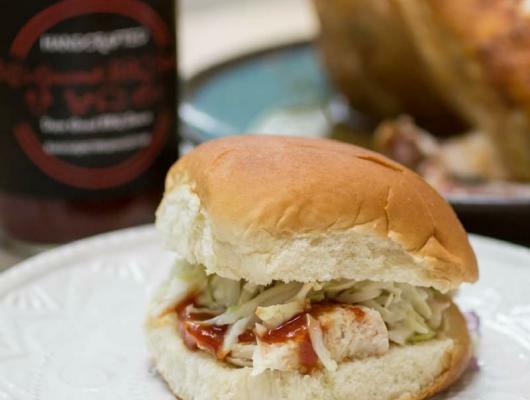 Add chicken to the tops of toasted buns, and top with the prepared coleslaw. Enjoy! There are so many different things you can do with a Traeger Grilled Chicken. This is the first thing we did, and it definitely won’t be the last. This chicken comes off the grill so tender and juicy. 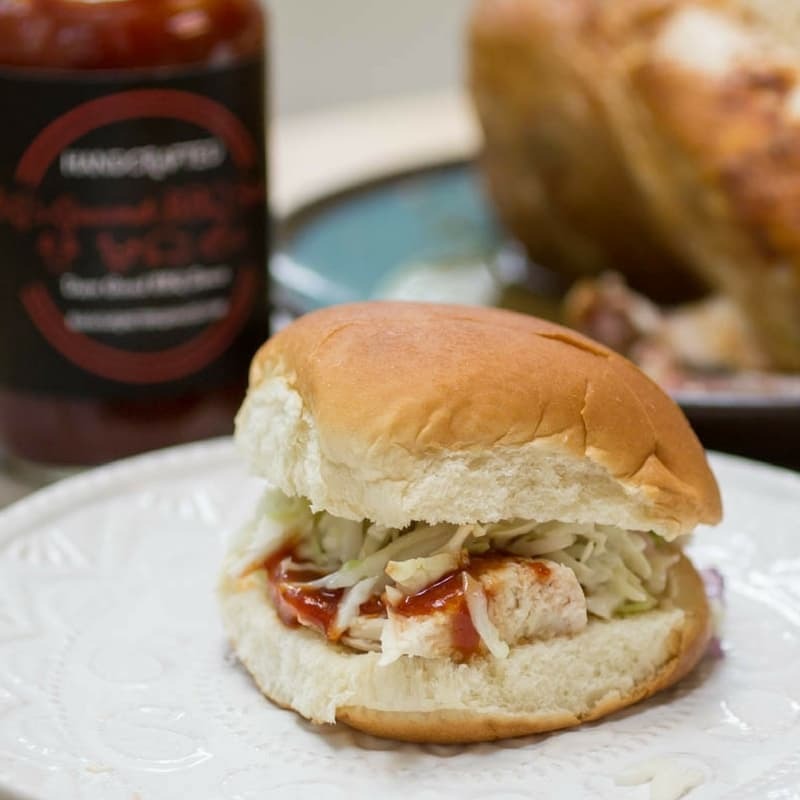 The next day, turn it into these delicious and easy Traeger Grilled Chicken sandwich.